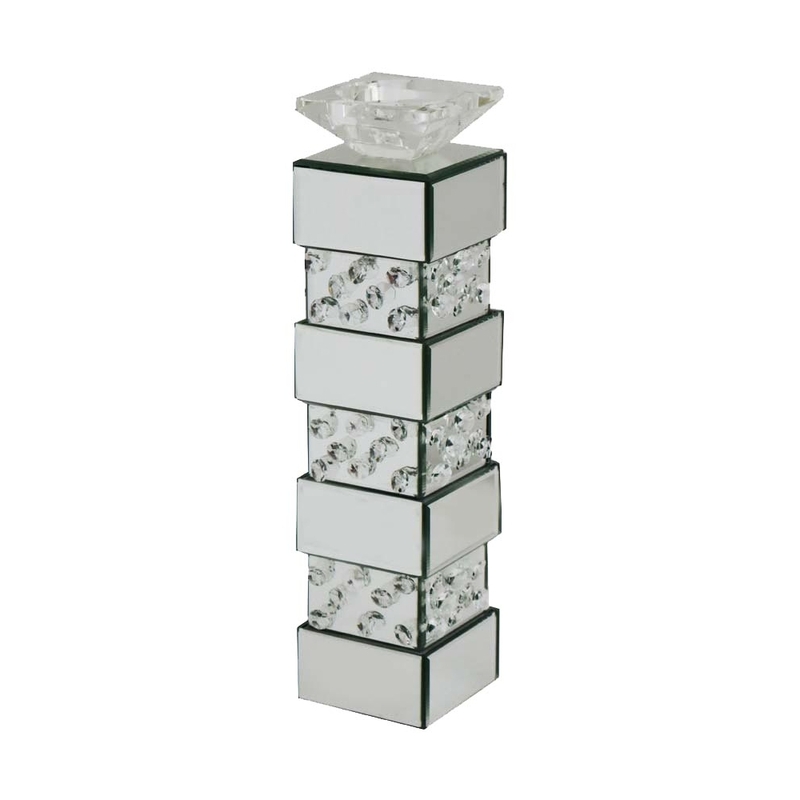 This is a pretty rhombus mirrored candle holder. It is a beautiful candle holder with stripes, one layer being mirror and the next is filled with detailed gems. This look brings elegance to a room. This is a new addition to the Rhombus range, this will add a modern feel to your home.